President Trump pushed a rural agenda that he said would promote prosperity, and he urged the adoption of solutions by a task force, among them, increasing internet connectivity for rural America. 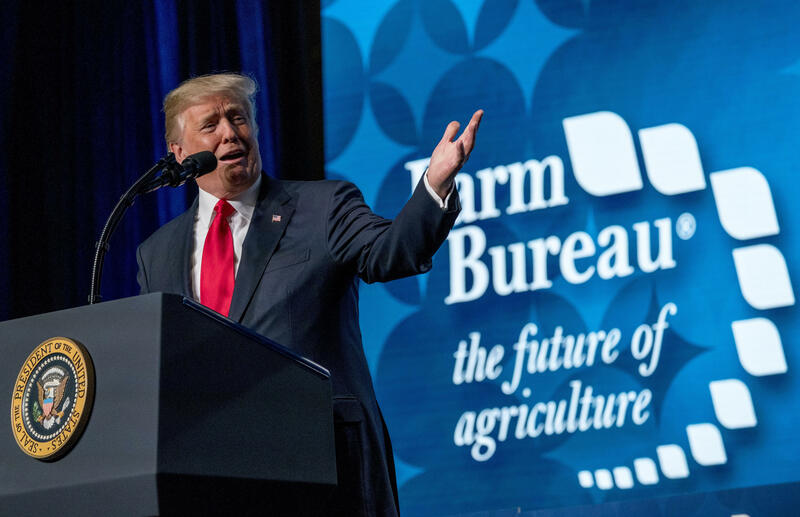 "Throughout our history farmers have always, always, always lead the way," the president told the American Farm Bureau Federation's annual convention Monday, in Nashville. Then, flanked by Tennessee lawmakers and Secretary of Agriculture Sonny Perdue, Mr. Trump signed two executive orders designed to increase the reach of broadband into rural areas and to support broadband tower facilities in rural America. "Those towers are going to go up and you are going to have great, great broadband," the president told convention goers. However, it is unclear how much money the White House will allot for the initiative. The president also assured farmers that he's working on a "better deal" on NAFTA, which, he told them was under negotiation "as we speak." NAFTA is a key concern for farmers, who need access to foreign markets and who have been anxious about the president's threats to withdraw from NAFTA if he's not happy with the renegotiation of the agreement. Senior administration officials told reporters Friday that the administration would be sure to see that rural U.S. agriculture interests are fairly treated and have access to global markets. Mr. Trump, who is the first president to address the convention in 25 years, also touted the potential benefits of the tax overhaul law for farmers. He said that farmers would be spared the "punishment" of the estate tax under the new law, a line from the speech that was met with a standing ovation. The new treatment means that the estate tax will only apply to the portion of a family's estate exceeding $11 million, which is twice the previous level. "Farm country is God's country. So true," he said.